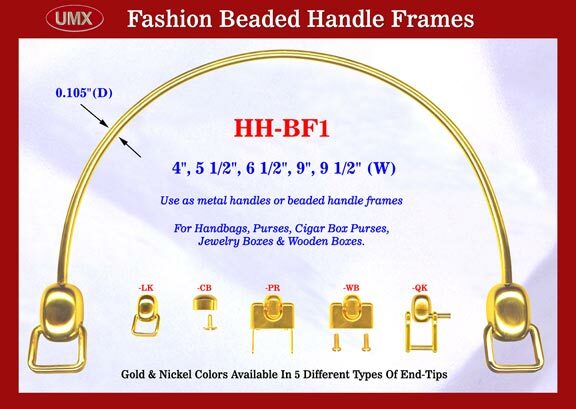 UMX HH-BF1 Gold Color Metal Handbag and Purse Handle. Design your own fashion series. Stylish metal handle can be used as regular metal handle, or for fashion designers to design their own style of beaded handle. The 0.105"(D) diameter wire good for most beads to go through it. With easy to install loop hook hanger end-tips for straps or with cigar box style end-tips(just add -CB to the end of model number to designate cigarbox style).